When it comes to prescriptions, we are bound by strict medicine guidelines. Your veterinary surgeon may supply or prescribe Prescription Only Medicines (POM’s) for animals under his or her care. Prescription only medicines – veterinarian (POM-V) may only be prescribed to animals under the care of a veterinary surgeon, and therefore cannot be prescribed if we have not seen your pet. If the treatment is ongoing and the vet is happy that the condition is stable they will allow a prescription to be repeated, however all animals on medication will need to be seen every 3 months for a Prescription Check. Some animals will need to be seen sooner, depending on their condition. Please ask for details of fees for a Prescription Check. If you need to order more medication between your Prescription Checks please contact the practice, before you run out of medication. We ask that you allow 48 hours for your prescription to be prepared as we do not keep all medication in stock and may have to order it for you. Flea treatments and wormers can be prescribed for 12 months at a time as they are a routine preventative treatment. 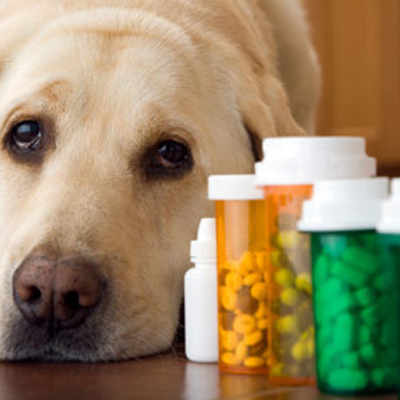 Alternatively, you may request a written prescription to allow you to obtain your pet’s medication elsewhere. A fee is charged for each written prescription and the same laws apply with respect to ensuring that the animal is under our care i.e. your pet will still need to be seen every 3 months.